Love it or hate it, Nintendo’s been announcing a lot of different games since yesterday. But while the conference had (arguably) plenty of announcements for late 2018 and early 2019, it’s easy to forget what Nintendo has already released as part of the event, and what they will be releasing within the next few days. Nintendo had two big games dropped on the eShop yesterday, although one wasn’t much of a surprise due to leaks. Fortnite released on Switch for free as a surprise to nobody, seeming to resemble the console versions more than mobile, and being cross-compatible with Xbox One and PC versions of the game. The other game was Hollow Knight, a highly praised platformer by indie developers Team Cherry. Today, just a few hours after the time of writing, the Splatoon 2 Octo Expansion dropped, which is a hotly anticipated single-player campaign in the game’s first paid DLC. There will be a new demo for Octopath Traveler, which seems to allow you to play as one of any of the eight playable characters for up to three hours. When the game releases on July 13, you can carry your progress over to the actual game. Oh, you thought you were done? Think again! 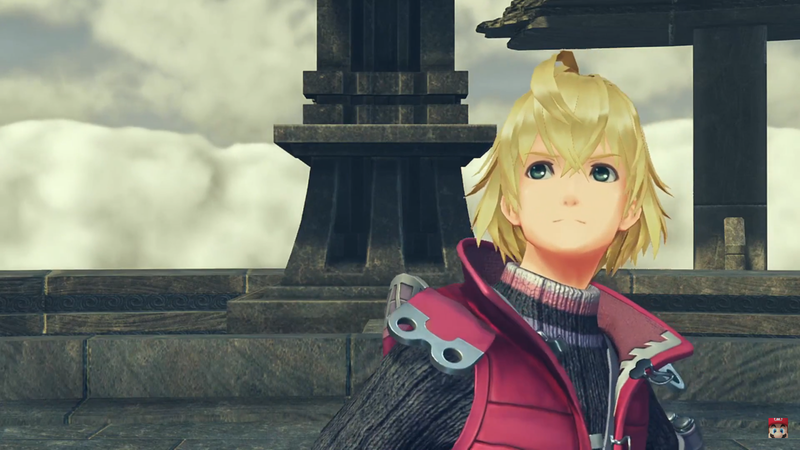 Xenoblade Chronicles 2 is getting new DLC as part of the paid expansion pass this day as well at 10pm, featuring Shulk and Fiora from the original Xenoblade Chronicles as new Blades, as well as a battle mode similar to something present in Xenoblade Chronicles X (sorry, I’ve got X on the mind). The mode is called the Land of Challenges, and seems to feature some cool rewards, such as being able to put on Pyra’s cute Gormott disguise at any time. Arcade Archives: Donkey Kong is launching today, with online leaderboards. Will the June 14th madness ever end?! Mario Tennis Aces launches, which got an online tournament earlier this month. The game will have a single-player story mode and seems to be a positive return to the exciting gameplay mechanics of the series after the more recent disappointments. Mario + Rabbids gets new paid story DLC in the form of Donkey Kong Adventure, which appears to be roughly half the size of the original game. It will of course feature the titular Donkey Kong and the new Rabbid Cranky Kong, as well as see the return of Rabbid Peach. Unlike the main game, players are restricted to use of these three characters. Oh and also the JRPG Ys VIII: Lacrimosa of Dana launches on Switch with a new, much-improved translation from the PS4 and Vita versions at launch. Doesn’t that name just roll off the tounge? Both indie games from Playdead, Limbo and Inside, are releasing on Switch. Both are horror puzzle platformers, Limbo releasing in 2010 and Inside releasing on 2016. They’ve previously been on anything from consoles to Steam to phones, so it’s good to finally see them arrive on today’s hottest console/ handheld hybrid. Both games received high critical acclaim at launch. Crash Bandicoot N. Sane Trilogy launches on Switch, an HD remaster of the original Naughty Dog trilogy of difficult 2.5D platformers featuring the zany Crash, possible because Activision acquired the rights to the franchise. Wolfenstein II: The New Colossus launches on Switch. The Bethesda first-person shooter received praise for its deep narrative when it launched on PS4, Xbox One, and PC last year, although many felt its actual shooting gameplay to be a bit rote. The Switch port is being handled by the same developers who made the excellent port of 2016’s DOOM for Switch, Panic Button. Man, I actually had a lot of fun writing a more (mostly) down-to-business article just delivering news in a comprehensive package. Today was an utterly exhausting 26-hour day (two time changes) with only five hours of sleep, and this isn’t the only thing I wrote today, but I feel really accomplished. Octo goodness commencing tomorrow, I swear!